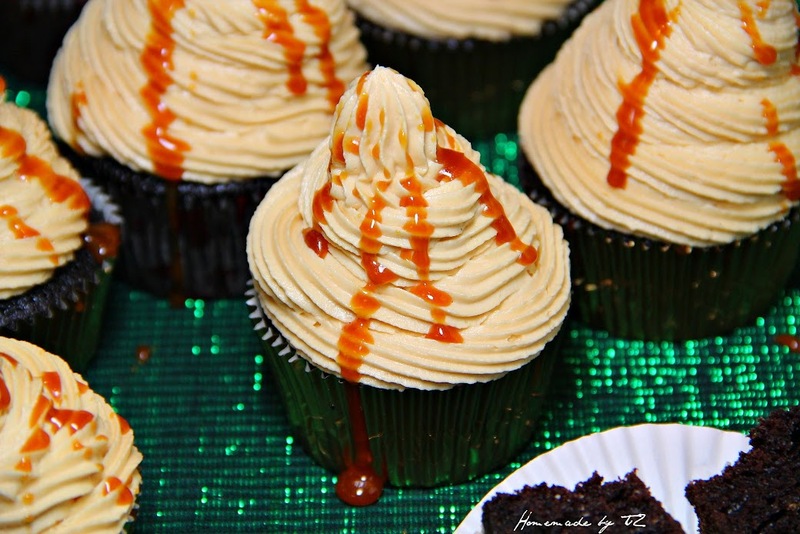 Guinness Chocolate cupcakes with Dulce de leche filling & Dulce de leche buttercream frosting. Seems Guinness is popular all of a sudden. I wonder why??? Now in my household we do not need St. Pattys to enjoy guinness. There are always a few bottles stocked in the fridge. The ol’man is a fan, me… not so much. But I do use it in some cooking and I make a little interesting drink … I will be posting later. 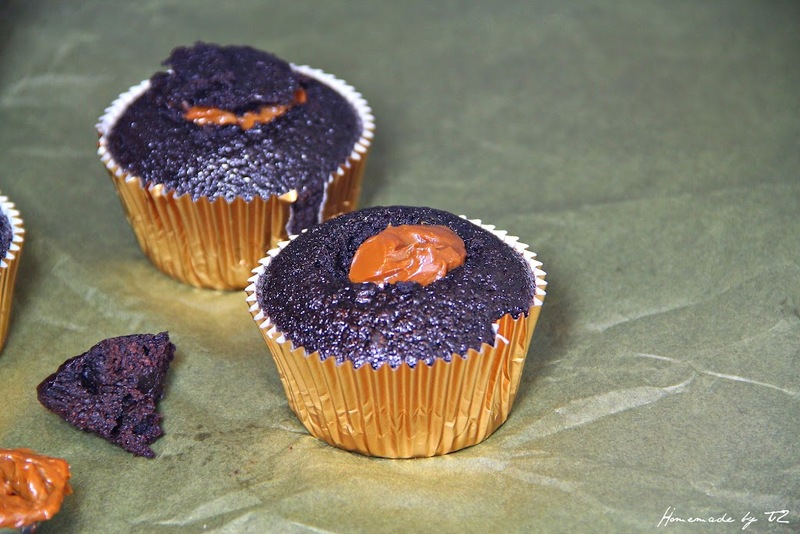 Anyway for a first time Guinness cupcake maker .. I thought it was nice … not grreat but nice … it worked well of course with the dulce .. but then again what doesn’t. 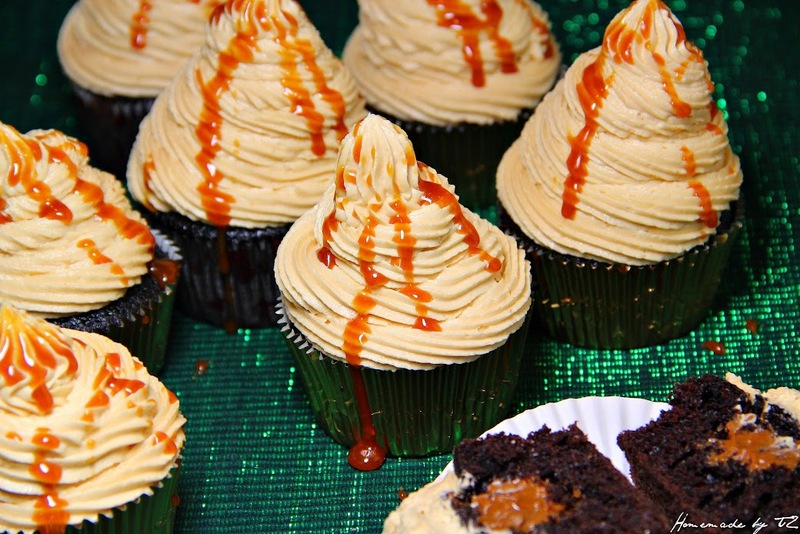 I cut a cone shape out of the middle of the cupcake and filled it with homemade dulce. I mean I could just leave the cupcake like this … I can poke my tongue in the middle .. .and call it a day. 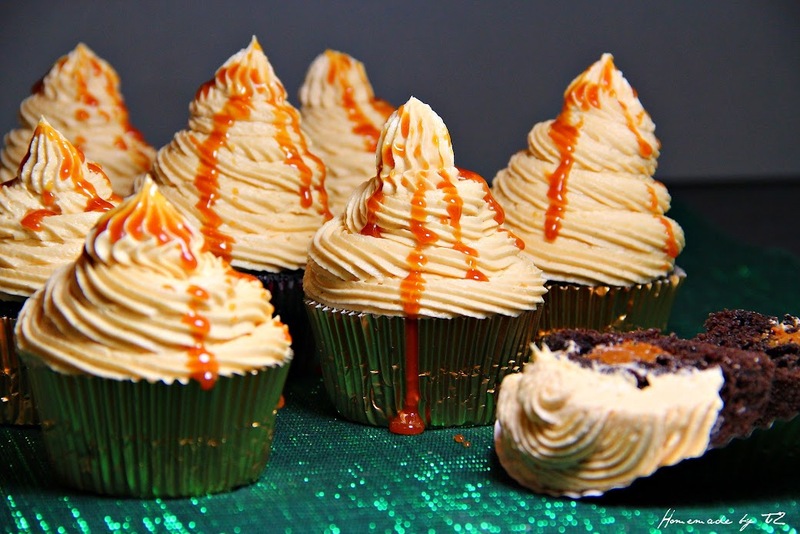 Ahhhh Dulce de leche … the things dreams are made of … creamy … sweet. It definitely changed the cupcakes entirely. Gave them an added punch they needed. I drizzled some lightened dulce sauce on top. I might have had like 10 2 … delicious! 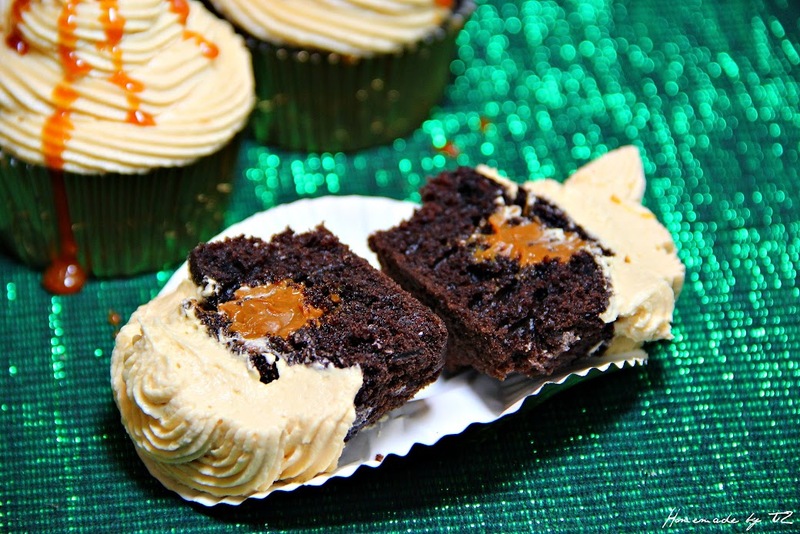 The cupcakes were nice and moist and had the strong Guinness flavor. 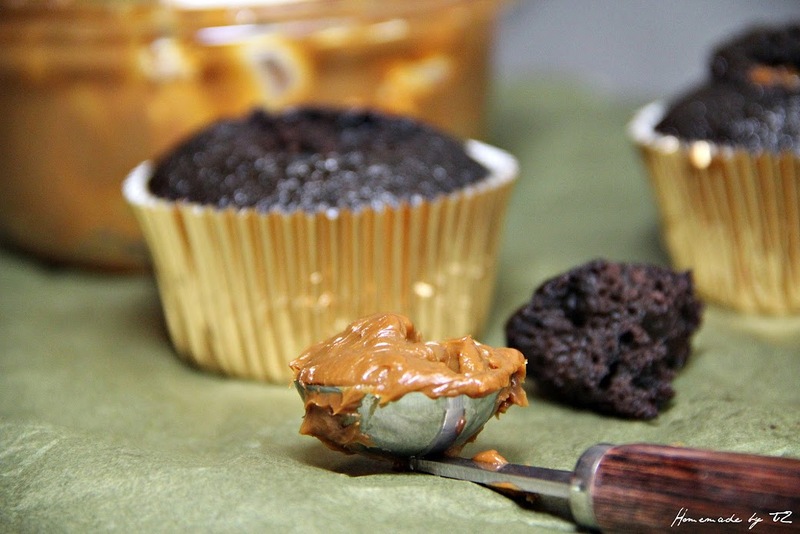 In a mixer with paddle attachment, add butter and dulce de leche. Beat on medium till smooth. Add powdered sugar a cup at a time. Drizzle in the milk a little at a time. Beat for about 2 minutes. 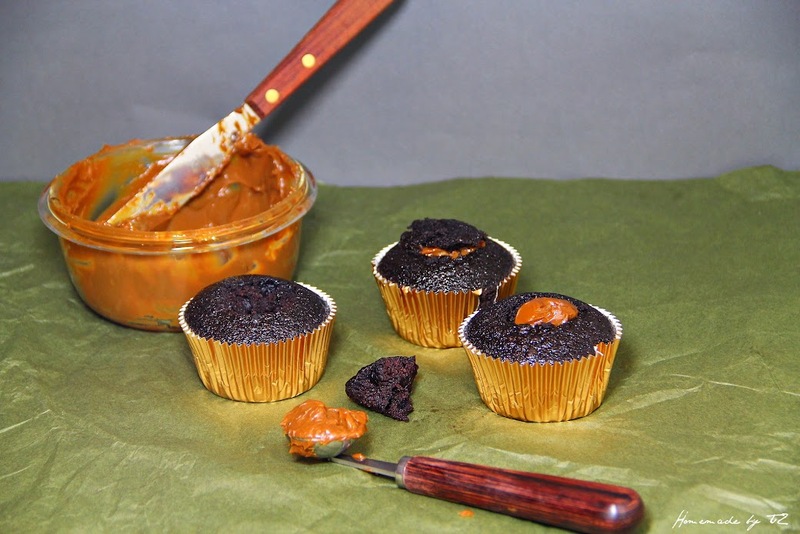 Your cupcakes look wonderful with the drizzle of dulce de leche. 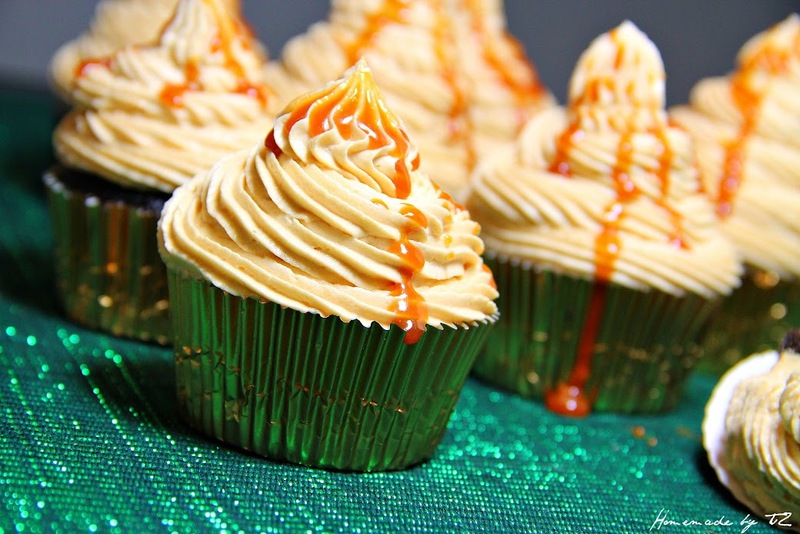 Thank you, I wasn’t a big fan of the Guinness cupcakes but the dulce made them that much better Thanks for stopping by.